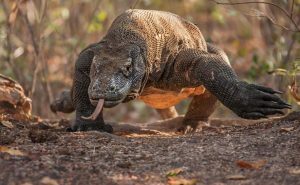 Komodo Dragon Tour – Komodo dragon in Komodo island of Indonesia is the largest living lizard that you will never find in another places on earth except on the islands within Komodo National Park. 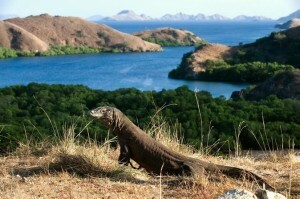 To discover the real habitat of Komodo dragon you can take a trip with us. One of Top Komodo Tours‘ recommended tour to see Komodo dragon during your travel time to our island is Komodo Dragon Tour. This tour covers the island of Rinca and Komodo as the these places are famous for the natural habitat of Komodo dragon and beauty of pure nature either on land or in the sea. Komodo dragon tour is also focused to introduce you the deepest insight about largest living lizard on earth called Komodo dragon, including take some snorkeling at several paradise snorkeling site around Komodo national park. Here is the summary of the tour program for three days Komodo dragon tour as beneath but we can modify it as customers requested. Starting/Ending Point: Labuan Bajo, west Flores. Day 01. Labuan Bajo – Rinca island – Pink Beach – Komodo island (L,D). Pick up at hotel/airport in Labuan Bajo, west Flores – transfer to harbor to catch a boat trip to start your Komodo dragon tour – boat to Rinca island – trekking to see Komodo dragon and other wild-life on Rinca island – boat to Pink Beach to snorkel and relax – boat to Komodo island. Lunch, Dinner and overnight on the boat trip at Komodo island. Day 02. 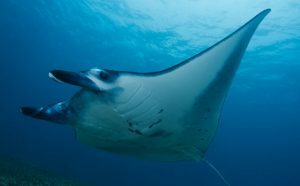 Komodo Island – Manta Point – Kanawa island – Labuan Bajo (B,L,D). The second day of Komodo dragon tour is starting with having breakfast on the boat – trekking at Komodo island to see Komodo dragon and other wild-life – boat to Manta point to see the huge Manta ray fish by snorkeling – boat to Kanawa island to snorkel and relax. Lunch will be served on the boat – boat back to Labuan Bajo’ harbor – transfer to the hotel for dinner and overnight. Day 03. Hotel – Transfer out for your next destination (B). Today is the last day of your Komodo dragon tour program. Breakfast at your hotel, free at leisure, until time for you to check out for your next destination.